Personal hearing amplifiers, also known as personal sound amplification devices are becoming more and more popular. Due to the huge prices slammed on prescription hearing aids, many people with hearing loss now prefer to buy these “over the counter” hearing aids, instead. And interestingly, many of these non-prescription devices work perfectly for the correction of mild to moderate hearing loss. Due to the increasing demand for personal hearing amplifiers, the market is now flooded with several different models. And choosing the right device can be a head-scratching experience. This post is a detailed, unbiased review of the best personal hearing amplifiers available in the market at the moment. In a bid to help you figure out the best options, we scoured the market and assessed several products based on brand trust and real buyer opinions. Then we cut out the low quantity candidates until we were left with the best seven. See the table below for our top 3 picks. In addition, this post is aimed to serve as a detailed buyers’ guide to help you make well-informed buying decisions. So, we strongly recommend that you read the full post before going ahead to buy your own personal sound amplifier. What are personal hearing amplifiers? Personal hearing amplifiers are non-customized hearing amplification devices made for people with low to moderate hearing loss. They work on the same technology as audiologist-prescribed hearing aids, picking up on surrounding noise and feeding it through to a tiny speaker. However, they have much greater range and are small enough to sit comfortably behind and in the ear. They come in different shapes and sizes and help to amplify sounds that are hard-to-hear for people with some degree of hearing loss. While it might be true that personal sound amplifiers aren’t subject to the same safety and effectiveness standards as prescription hearing aids, they still serve as effective shortcuts for people with some degree of hearing loss who cannot afford to churn out 4-figures for prescription hearing aids. Most personal sound amplifiers are of two types — the behind-the-ear (BTE) or the in-the-ear (ITE) type. Behind-the-ear personal sound amplifiers usually have a banana-shaped case and a receiver piece that inserts into the ear canal. The receiver attaches to the ear via an ear-mold that fits snuggly in the ear, while the tube rests behind the ear. 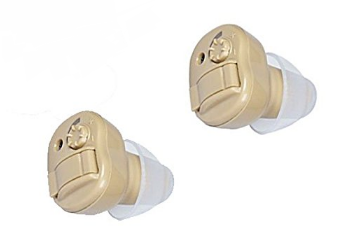 In-the-ear hearing amplifiers, on the other hand, are one-piece devices — with the single piece fitting inside the ear. Since they have no parts that hang outside the ear, they are relatively easier to insert than BTE personal hearing amplifiers. According to a market survey, owners of behind-the-ear, open-fit designs reported the most improved hearing. 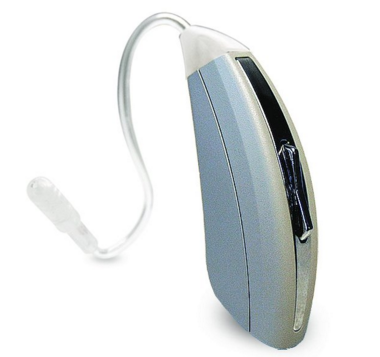 Personal hearing amplifiers run on either replaceable batteries or rechargeable batteries. Each battery type has its pros and cons. With rechargeable batteries, you won’t have to replace batteries often, but when the batteries eventually wear out, you’ll need to ship the device to the manufacturer for a replacement, or get a new device altogether. In addition, amplifiers with rechargeable batteries tend to be more expensive. However, amplifiers with replaceable batteries are sometimes cheaper. Although you have to replace the batteries often, the device tends to last longer, since you’ll never get stuck with a battery you can’t replace. These refer to the different modes that have programmed into the personal hearing amplifier. You can toggle between the modes to choose which one is most suitable for your environment. For example, some amplifiers have different modes for loud social settings with lots of background noise and calm environments. This feature allows you to adjust your amplifier’s volume to your preferences in any environment. Virtually all amplifiers come with manual volume controls, and few also come with automatic volume control, which prevents high sounds from becoming intrusively loud. This feature allows you to connect your amplifier to your smartphone, making it easy for you to adjust the amplifier’s setting without having to remove it from your ear. Be sure to buy only an amplifier that is covered with a reasonable warranty period and money-back guarantee. You never know when your hearing amplifier can malfunction; if that happens within the warranty period, you can have it repaired or replaced for free. And if for some reason, you think you bought the wrong device, you can capitalize on the manufacturer’s money-back guarantee. It goes without saying that your financial capacity would inform your choice of hearing amplifier. While there are personal hearing amplifiers that cost much less than $100, we found that most of them had the worst buyer reviews. And this explains why they didn’t make it into our top-pick list. In any case, we advise you not to make cheap price a criterion when choosing your personal hearing amplifier — so you don’t end up with the wrong choice. If you embark on a search for personal hearing amplifiers, you’ll no doubt come across several models of varying quality — from very cheap ones that are almost useless to high-quality ones that adopt the same technology with audiologist-prescribed hearing aids, but sell for much cheaper. 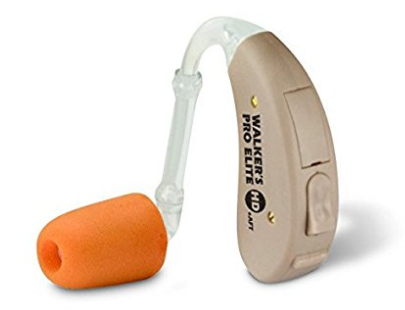 The Empower hearing amplifier (formerly called LifeEar hearing amplifier) is a personal sound amplification device that does more than “turning up the volume of every sound” like those cheap devices do. With its 12-band digital sound processor, the device focuses on voices while filtering out unwanted background noise simultaneously. If you desire comfort and ease of use, the Empower hearing amplifier will give you both. The device is easy to wear on the ears, and it’s so small that it’s difficult to notice while in use. In addition, you can easily control the sound level and amplification program via a single switch. The Empower hearing amplifier runs on readily available 10/10 A zinc batteries, and it’s available in beige, graphite, and gray colors–to blend invisibly with any hair color. The device comes with a 12-month warranty guarantee. 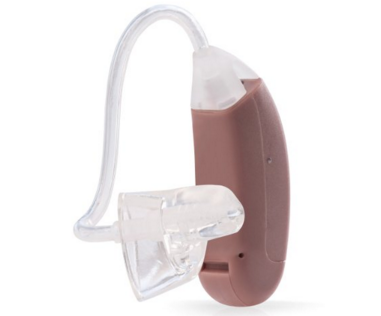 The Tweak Focus Model hearing amplifier is a non-prescription hearing aid that employs the use of sophisticated, patented technology to boost relevant sounds and eliminate unwanted background noise. With 4 amplification choices, the device features an intelligent automatic feedback control mechanism that minimizes whistling. The Tweak Focus Model hearing amplifier features 2 directional microphones that work together to allow for better listening in noisy environments. The device also features a 12-band graphic equalizer and fast-acting sound-activated compression. Powered by 312 size replaceable battery, the Tweak Hearing Focus model amplifier is available is three colors (black, silver, and beige), and is covered by a 90-day manufacturer’s warranty. The Sound World Solutions CS50 Bluetooth hearing amplifier is a Bluetooth-enabled, behind-the-ear, over-the-counter hearing aid that works well for the correction of varying degrees of hearing loss. The device comes preset with 3 preset modes: an Everyday mode, a Restaurant mode for noisy settings, and an Entertainment mode for movies, TV, and cinema experiences. With its Bluetooth connectivity feature, the Tweak Hearing Focus Model amplifier can be connected with any Bluetooth-enabled smartphone and comes with a free Customizer App that allows complete personalization through your smartphone. The selling points of the device are its rechargeable battery (runs for 18 hours) and the voice prompt feature, which allows you to control the device with your voice. Available only in black color, the Tweak Hearing Focus Model amplifier is covered with a one-year manufacturer’s warranty. 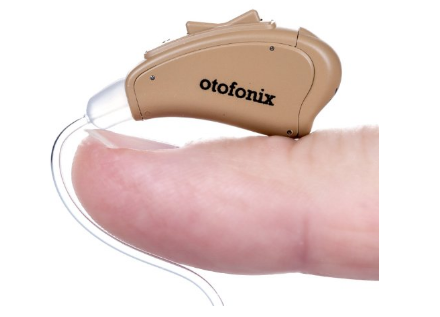 The Otofonix Personal Sound Amplifier is one of the fairly recent entrants into the market. A behind-the-ear model, it’s so impressive that it has gathered lots of excellent feedback from buyers who have bought and used it. 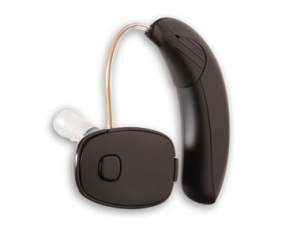 The device helps people with hearing loss by providing sound enhancement across all frequencies. It also eliminates unwanted background noise through its noise reduction and acoustic feedback cancellation features. Another interesting feature of the device is it’s battery saving mode feature, which makes the device to “hibernate” when the user is in a quiet environment and reactivates it again when there’s some sound. The Otofonix Personal Sound Amplifier comes with 4 preset program configurations, 12-band digital sound processing, and 10 digital volume levels. All these help to amplify sounds through the device, which sports vented ear domes that prevent the “sensation of ear plugs”. The device features a rocker switch that controls volume (short press) and selects preset sound configurations (long press). The device runs on replaceable batteries (size 312) and comes with a 30-day money-back guarantee and a 12-month warranty that covers all manufacturer defects. Note, also, that is lacks Bluetooth Connectivity feature, which means you can’t synchronize it with your smartphone. The Walkers Game Ear Elite Digital Assisted Listening Device is another awesome behind-the -ear hearing amplifier that brings some unique features to the table. First, it comes with a sound-reducing ear muff that ensures that all unwanted background noises are filtered out. Second, the device also provides nano-tech waterproofing, which protects your the device and ears from water. The device features 4 digital sound processing channels, automatic feedback control, and 50 decibels of heating enhancement. It also features a 20-bit audio processor that uses an 8-band graphic equalizer to produce crisp sound output. There are 4 programmed settings: General, Crowds, Power Boost, and Nature), which provide excellent outputs in environments described by each name. Another interesting feature of the Walkers Game Ear Elite Digital Assisted Listening Device is its in-built sound activated compression (SAC) function, which reduces dangerously loud sounds to safe levels. 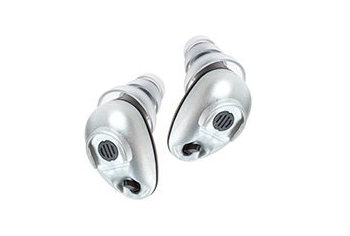 This protects the user’s ears from being damaged in noisy environments. The device is powered by replaceable batteries. It lacks Bluetooth connectivity feature as well as a directional microphone. The Etymotic Research Bean Personal Sound Amplifier is a well-designed in-the-ear hearing amplifier that works well to improve varying levels of hearing loss. Being an in-the-ear type, the device is almost undetectable in the user’s ears (just like an earbud), yet it provides high quality sound amplification and speech intelligibility in both quiet and noisy conditions. Unlike most others on this list, the Etymotic Research Bean Personal Sound Amplifier offers just two levels of enhancement (Normal and High). Nonetheless, it enhances low volume sounds and reduces the intensity of very loud sounds to prevent damage to the user’s ears in noisy environments. The device is powered by a #10 Zinc-air battery, which lasts around 2 weeks or more, depending on the frequency of use. The good news is, the battery is widely available. Note that the device doesn’t feature Bluetooth connectivity. Coming from the stable of EasyUS, the 1 Pair New Digital Hearing Amplifier is another in-the-ear hearing amplifier designed based on digital technology. The device works by enhancing low-volume sounds and stabilizing high-volume sounds, preventing them from damaging the user’s ears. The 1 Pair New Digital Hearing Amplifier features intelligent volume control and runs on an A10 Zinc-air battery, which usually delivers for up to 500 hours. Due to the device’s small size, it can be hardly seen in the user’s ears. And due to its light weight, the user can conveniently use it for as long as they want. As with any other product, this device has some downsides. According to some users, the eartip is not so comfortable for people with small ear canals. The battery has also been reported to last no more than few days (still impressive, but nowhere near the “500 hours” promised by the manufacturer). While we understand that you have your preferences as an individual, we believe it’s our responsibility to assist you to make a well-informed buying decision. And that’s why we’ve not left you “hanging” after presenting our top picks. We will complete our job by giving your recommendations that will benefit you. If you’re only looking for the best and nothing more, then we recommend the Empower hearing amplifier any day. But if you don’t like the fact that its batteries are not rechargeable, or that it lacks Bluetooth connectivity, then you can go for the CS50 Bluetooth-enabled amplifier, which runs on a rechargeable battery. But if you believe strongly in directional microphones, then go with the Tweak Hearing Focus Model hearing amplifier. Other products on our list, especially the Otofonix Hearing Amplifier and the Walkers Game Ear Elite are also great products that are highly unlikely to leave you with any regrets. If you’d prefer in-the-ear models to behind-the-ear types, then you’d be fine with either the Etymotic Research Hearing Amplifier or the 1 Pair Hearing Amplifier. Are you on a very tight budget? Then check out our review of cheap hearing amplifiers that work well.